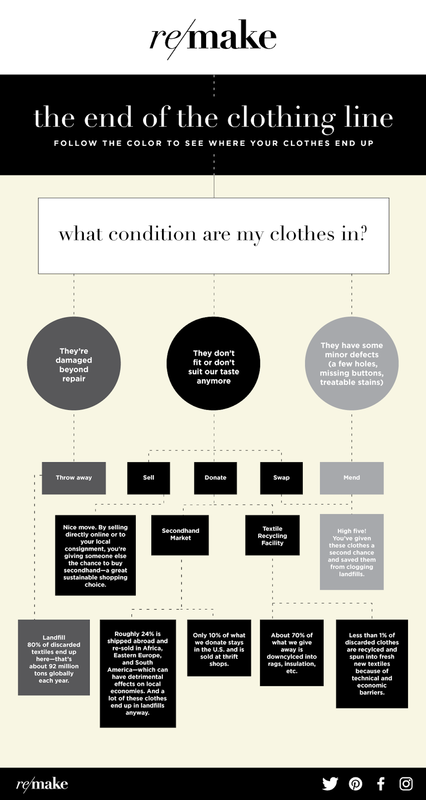 Are Our Clothes Doomed for the Landfill? We’ve probably all had the experience of dropping off a bag of old clothes at our local Goodwill or Salvation Army. But did you ever wonder what happens to the mound of goods in these donation piles? And those totally worn-out boots you reluctantly threw in the trash? Their fate is not so pretty. Globally, 80% of discarded textiles are doomed for the landfill or incineration. Only 20% are actually reused or recycled. The clothing that ends up in landfills can sit there for 200-plus years, and as it decomposes, it emits methane—a greenhouse gas more potent than carbon. Yikes. And much of what we donate gets packed, shipped, and re-sold overseas or gets dumped in landfills anyway. There’s a lot of misinformation out there, so we did some digging and followed the paths that old clothes might take once they leave our hands. Right now, less than 1% of collected clothing is recycled into new yarns and fibers. New technologies, like chemical recycling (which separates raw materials from dyes, elastics, etc. for effective use as new textiles) are in the works, but we have a long way to go until they’re fully developed and put into mainstream practice. So, what can we do now to save our clothing from a landfilled end? We’re all familiar with the mantra “fewer, better things” and we know what a challenge that sounds like for anyone who likes to be on-trend. But there are so many services available now—like Le Tote and Rent the Runway—that let us keep up with each season’s styles without stuffing our closets full of here-today-gone-tomorrow pieces. We can also host clothing swaps with friends and spend more time fixing some of the gently worn pieces that are already in our closets. It’s actually pretty easy to sew on missing buttons, patch small holes, and learn correct washing methods to give our favorite tops and bottoms an extended shelf life. By doubling the life of clothing from one to two years, we can help reduce emissions from clothing production and disposal by as much as 24%. Here’s some food for thought: 26% of discarded clothing was disposed of simply because we didn’t want it anymore. Now, we’re not telling our fashion-loving ladies to stop shopping completely. We’re just suggesting that you buy thoughtfully. Think of creating your own capsule collection with timeless classics that won’t ever go in or out of style. Try our 30 wears challenge. Choose garments and materials that are made to last instead of cheap synthetics like polyester, nylon, and spandex, which can take as long as 200 years to fully degrade. Seek out brands that offer lifetime repair services. 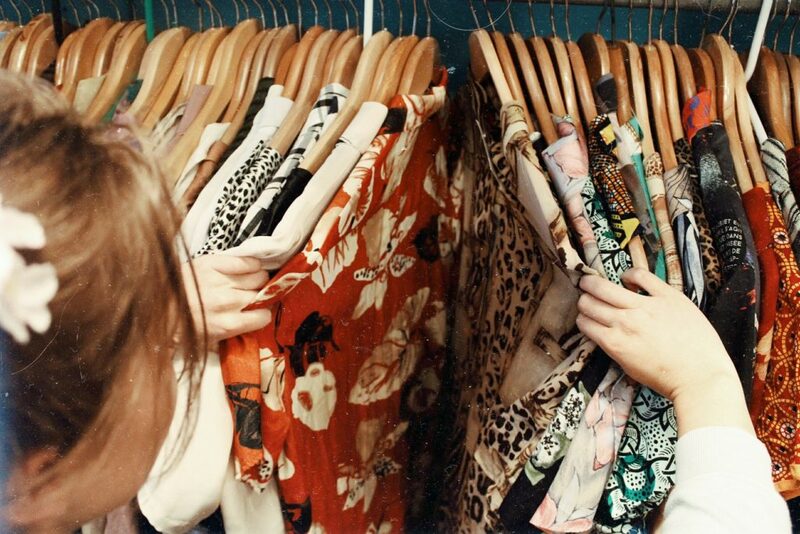 Or try secondhand—it’s the most sustainable way to shop. The U.S. alone sends about 21 billion pounds of textile waste to landfills every year. And sadly, only 10-15% of donated clothing actually ends up in the secondhand market. National charities like Goodwill and the Salvation Army get more donations than they can handle, so much of it is packed up and re-sold overseas or sent to landfills. California Goodwill alone spends $7 million a year on dumping costs. 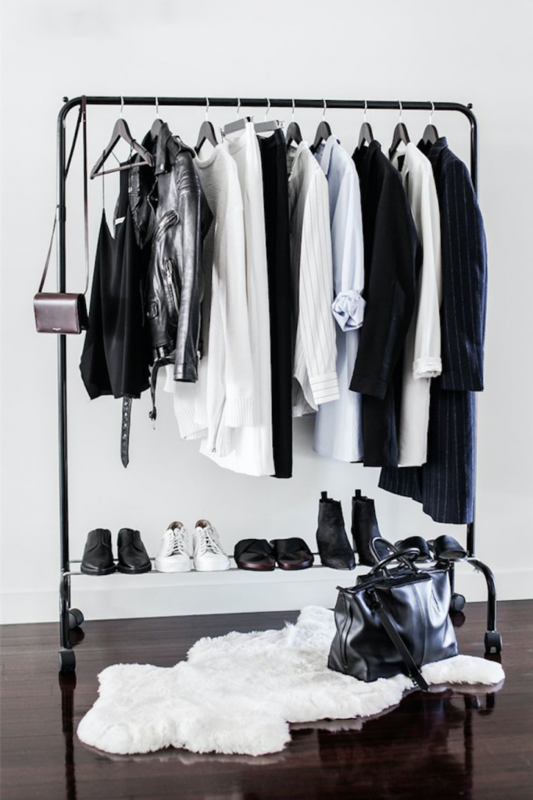 So when it comes time to part with pieces in your closet, do so wisely. Donate to local charities and thrift shops, which are more likely to put your used clothing onto their racks or make sure it goes directly to people in need. Consider selling them yourself on websites like eBay, Poshmark, or Vinted. Take unwearable items (stained shirts, holey socks, old underwear) to local textile recycling facilities, where they’ll be downcycled into things like rags, cushion filling, and insulation. San Francisco even has a citywide program in place in which people can collect unwearable items in a clear plastic bag and put them in their blue recycling bins to be downcycled. Do your research before you go shopping and choose designers who have zero-waste goals and initiatives to use fabrics that are recyclable. You can start by checking out Remake’s list of ethical and sustainable brands, featuring brands including Mara Hoffman, Patagonia and Veja. High-end designers are getting in on the game too: Stella McCartney has created a vegan silk for their collections through a partnership with biotechnology brand Bolt Threads. Individually and collectively, we need to keep asking our favorite fashion brands what they do with their waste and what efforts they’re making to become more sustainable. H&M addressed these issues with their World Recycle Week campaign with M.I.A., which claims they’re recycling textiles into new fibers through their clothing collection program, but that’s likely not the whole truth. The technology to do this at scale simply doesn’t exist yet, which means that chances are high they’re shipping most of these donations overseas. It’s our job to keep pushing them for the whole truth. On a regional scale, we can make requests to our local governments to provide resources for responsible clothing disposal and push for improved processes, like investing in research and infrastructure for textile recycling. Clothing landfill waste certainly isn’t a problem we’re going to solve overnight, but there are small steps we can take each day to pave the path towards a more sustainable fashion future. And it starts with you. Follow the journey of your clothes in our roadmap below. Allison is a lifestyle writer and editor who regularly contributes to the Style section of the San Francisco Chronicle. Before going freelance, she was a longtime staff editor at 7×7 Magazine and will never forget the day she got to interview Vogue editor-at-large Hamish Bowles. She believes in supporting companies that are committed to both ethical and sustainable business models and is practicing what she preaches by changing the clothes in her own closet one piece at a time.